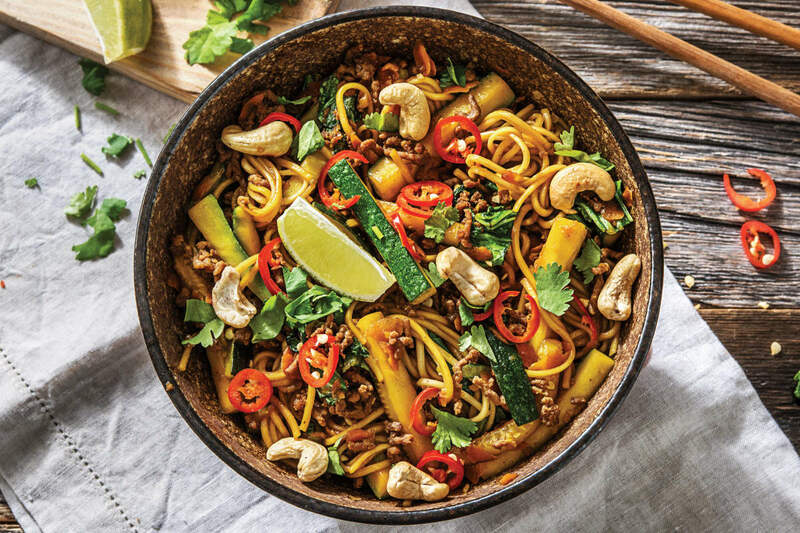 Sometimes you can’t go past the classics, like this beef stir-fry with a sweet and savoury sauce. 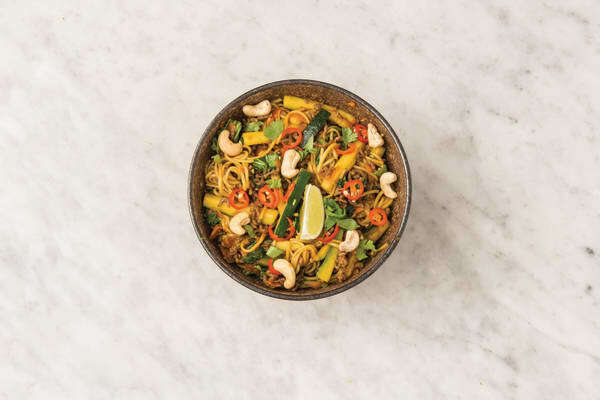 With thin ramen noodles and colourful veggies, it tastes like a takeaway delight, but with the satisfaction of making it yourself! Bring a medium saucepan of water to the boil. Finely grate the ginger. Zest the lime to get a pinch, then slice into wedges. Finely chop the garlic (or use a garlic press). Slice the zucchini into 1cm batons. Roughly chop the Asian greens. Roughly chop the coriander. Finely slice the long red chilli (if using). 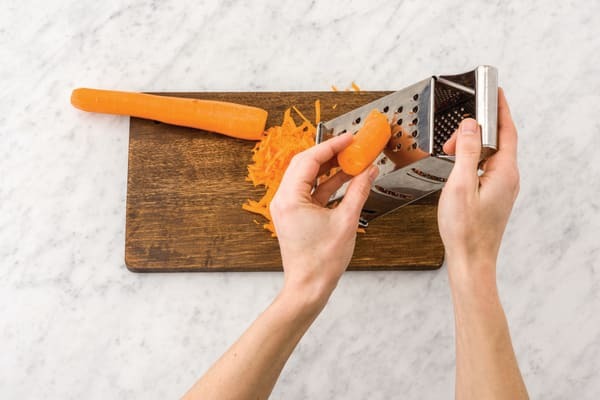 Grate the carrot (unpeeled). 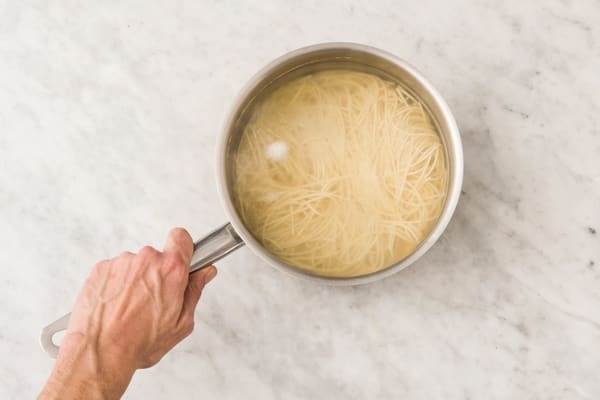 Add the ramen noodles (see ingredients list) to the saucepan of boiling water. Cook for 4 minutes, or until soft. Drain and refresh under cold water. 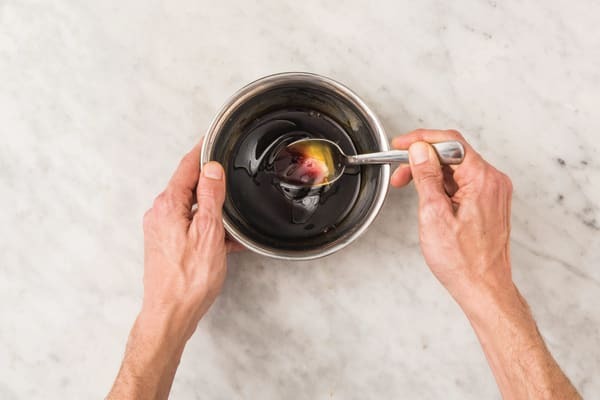 Heat a drizzle of olive oil in a large wok or frying pan over a medium-high heat. 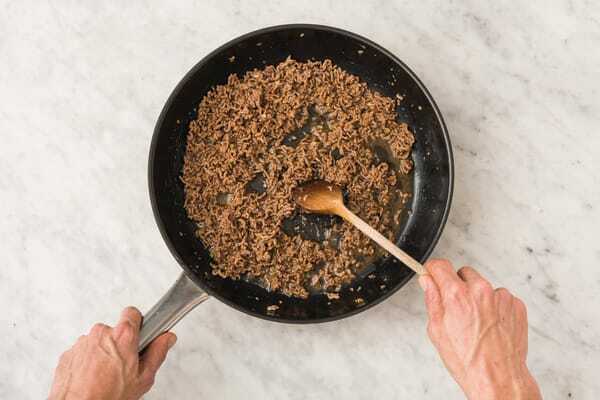 Once hot, add the beef mince, ginger, garlic and lime zest and stir-fry for 2-3 minutes, breaking up with a wooden spoon, or until just browned. Add the honey and soy sauce (for the beef) and cook for 2-3 minutes, or until reduced. Transfer to a medium bowl. In a small bowl, add the soy sauce (for the sauce), kecap manis and the water. Stir to combine. Return the frying pan to a high heat with a drizzle of olive oil. When the oil is hot, add the zucchini and carrot and stir-fry for 2-3 minutes, or until tender. Add the Asian greens and stir-fry for 1 minute or until tender. Add the sauce mixture and cook, tossing, for 1 minute or until well combined. Add the honey-soy beef, ramen noodles and a good squeeze of lime juice. Toss together until heated through. Divide the honey-soy beef noodles between plates. Top with the long red chilli (if using), coriander and roasted cashews. Serve the remaining lime wedges on the side. TIP: For the low-calorie option, serve with 1/2 the roasted cashews.